Shooting up from a city corner, just a block away from Nha Trang’s excellent Municipal Beach, the Liberty Central is a white-painted high-rise like many others that clutter the city’s skyline these days. From the outside, it’s a fairly functional-looking, unremarkable modern tower block. But one thing is very clear: the building has been designed so that all the windows face east. This can mean only one thing: ocean views. 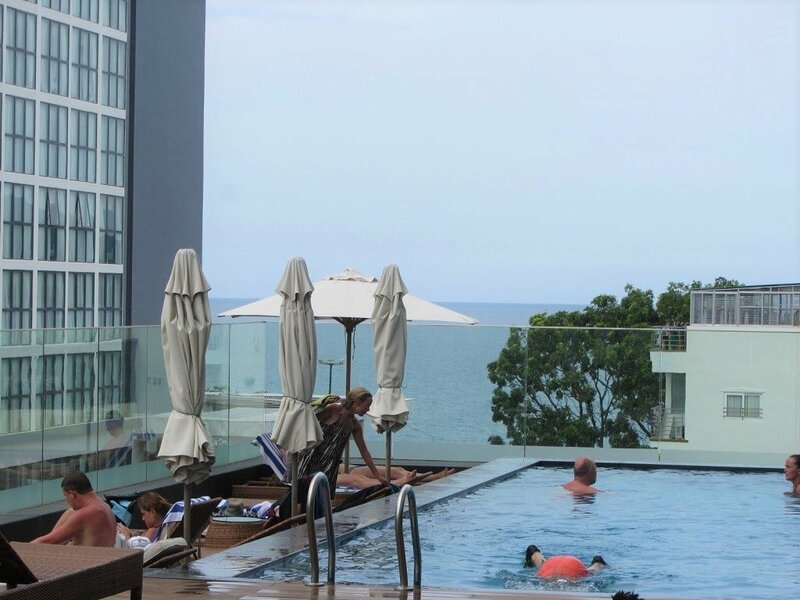 Indeed, once you’re in your room or on the rooftop bar, you’ll forget all about the hotel’s bland exterior, because you’ll be concentrating on the expansive vistas of sand and sea. The lobby is squeaky-clean: polished, sterile and anodyne to the point that it feels like entering the reception of an enormous private dental practice. However, it still somehow manages to feel welcoming – partly because of the well-mannered and personable staff, and partly because of all the natural light that comes streaming in through the tall windows. Also on the ground floor is the hotel’s cafe opening onto the street, and the neatly adorned restaurant, which floats above the lobby on a mezzanine floor. The Liberty Central is twenty-something floors high, served by a couple of rapid elevators. Obviously, the higher your room, the better the sea view. 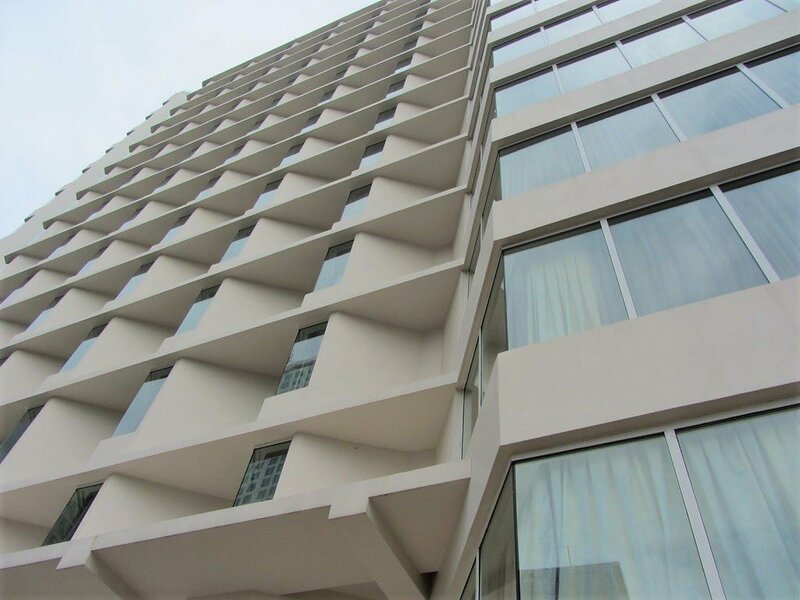 The top few floors feature the Executive and Signature rooms, which you might expect to be much more expensive than the ‘normal’ rooms (or ‘Premier’ in the hotel’s jargon). But, providing you stay during the week and not on a public holiday, these Executive and Signature rooms can be extremely good value for money, averaging $90-$110 a night. Apart from the astonishing ocean views, masses of space (including your own living room), contemporary furnishings, all mod-cons, and excellent bathrooms, you also get access to the ‘Club Lounge’. 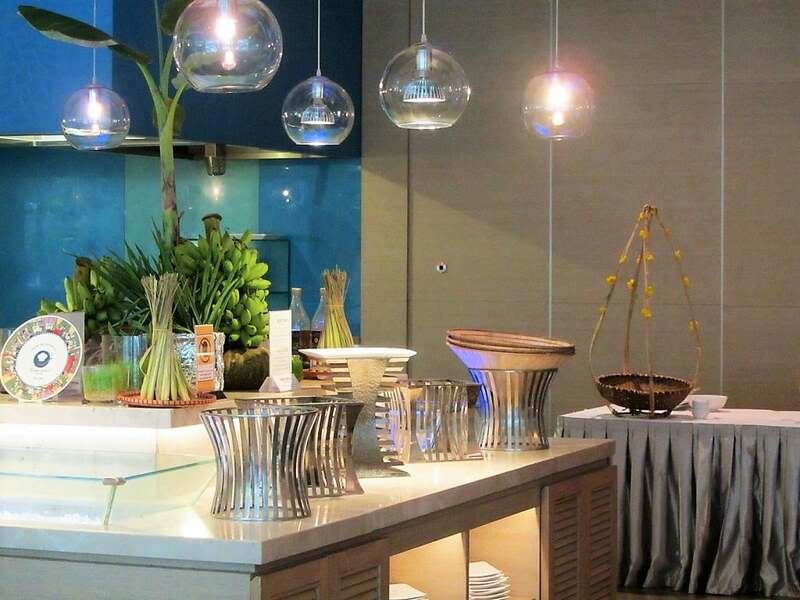 This is essentially a business-class-style bar and restaurant on the 20th floor, where guests are treated to complimentary afternoon tea and cakes, buffet breakfast, and (best of all) cocktails at dusk. However, one rather irritating drawback with rooms on the ‘executive floor’ is that the hotel’s Above Sky Bar is located, well, above the rooms. Unfortunately, the Above Sky Bar lays down some pretty heavy (and loud) beats from sunset till late, which will disturb the sleep of any of the ‘executive guests’. The Sky Bar is pretty fancy, surprisingly large, and clearly decked out as a proper night spot. 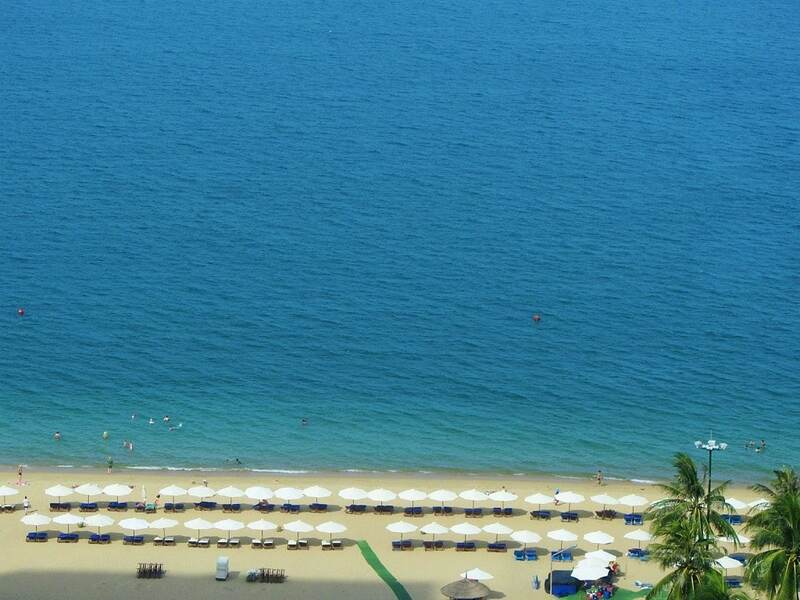 The views are panoramic, taking in the entire bay of Nha Trang, its surrounding mountains, and the city skyline. Come here for a sunset drink (before the music starts). Even if you end up slumming it in the Premier rooms, you won’t be disappointed. The rooms, the windows and the views are all smaller, but the styling, quality, and comfort is the same. You’ll also save $10-$20 a night, and won’t have to listen to the music from the Above Sky Bar. 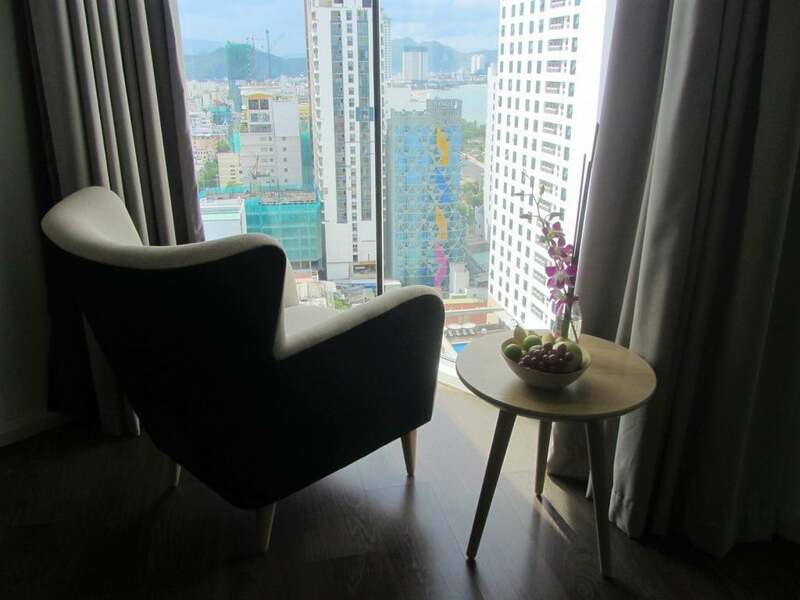 It’s worth noting that, even though the ocean views are fantastic through a pane of glass, none of the rooms at Liberty Central Nha Trang have balconies. For fresh air, you’ll need to go up to the rooftop bar. 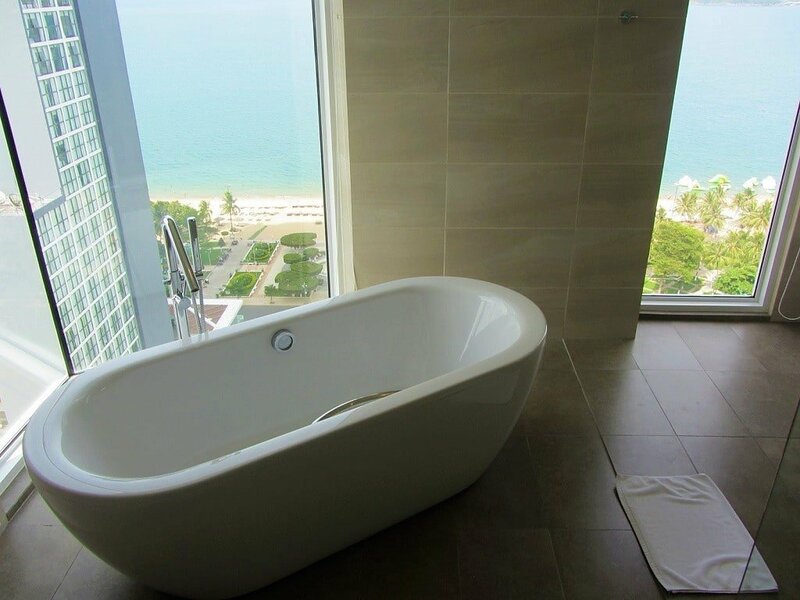 Another feature that the cheaper rooms don’t include, are the enormous freestanding bathtubs with expansive views of the city and the ocean. Looking like space pods awaiting a passenger, these bathtubs are positioned right next to the window. However, the Liberty Central is not the only high-rise hotel in the vicinity: other monoliths grow up all around, with windows looking straight into your bathroom. There are blackout blinds, but that would defeat the point of an ocean view bathtub. 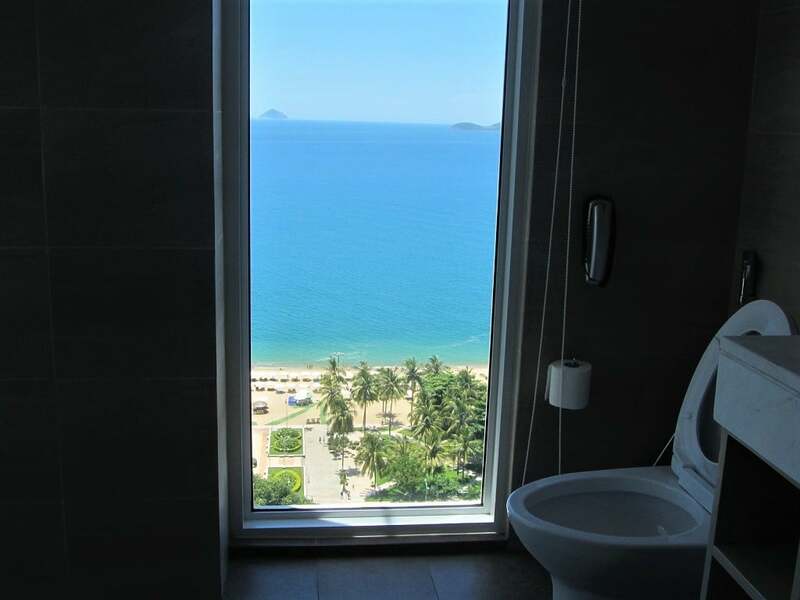 However, I would guess that, like me, if you book into a room with one of these tubs, you’ll lose any sense of ‘natural modesty’ that you thought you had, and opt for a bath-with-blinds-open-and-sea-view. 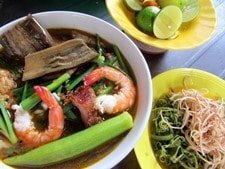 The buffet breakfast (included in the room price) is pretty good, but the standard is not quite as high as you can find at some other hundred-dollar-a-night hotels on Vietnam’s coast, such as The Grand Ho Tram. Another area where the Liberty Central Nha Trang loses points is its swimming pool. Located on the fourth floor, the pool occupies a small section of a nice wooden deck overlooking the street below. The pool is fine, it’s just too small. There’s a good bar and comfy loungers, but the whole setup would have been so much better if they’d used the rest of the (empty) space to extend the pool to at least twice its size. It’s not really anything more than an oversized plunge pool: you can’t actually swim. It’s great for kids; not so good for grown-ups. However, the pool’s shortcomings are not a big issue, thanks to the Liberty Central’s excellent patch of private beach. 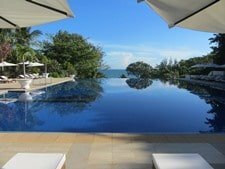 A mere 90 second stroll from the hotel’s lobby, the Liberty has a couple dozen loungers and parasols dotted on a wide section of beachfront. Nha Trang’s beach and seafront park are beautifully maintained and, it seems, no matter how much the city changes, the beach remains as lovely as ever. A kiosk on the sand provides towels for hotel guests. The Liberty Central is in the middle of Nha Trang’s ‘hotel district’, which means that it’s not particularly well-positioned for local life. Restaurants serving international food, bars, and tour companies fill the nearby streets. But, walk 5-10 minutes northwest of the Liberty, and the tourist town starts to give way to real Nha Trang, which is still a very agreeable city with shady side streets lined with good local food outlets. 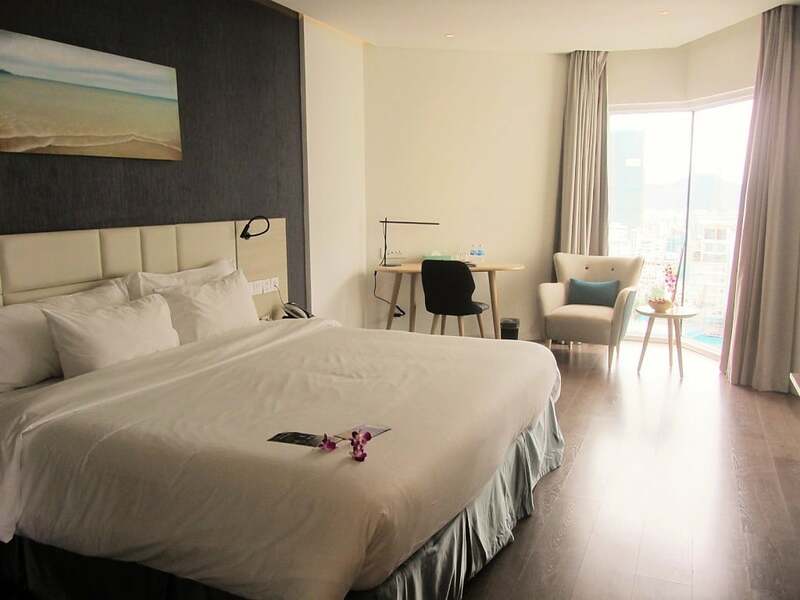 For a comparatively affordable slice of contemporary luxury with excellent sea views, the Liberty Central is a solid choice for a couple of nights at Vietnam’s most popular beach destination. 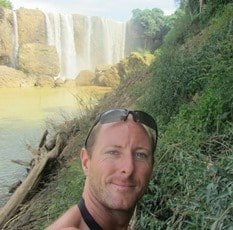 [Average rates are around $100 a night. 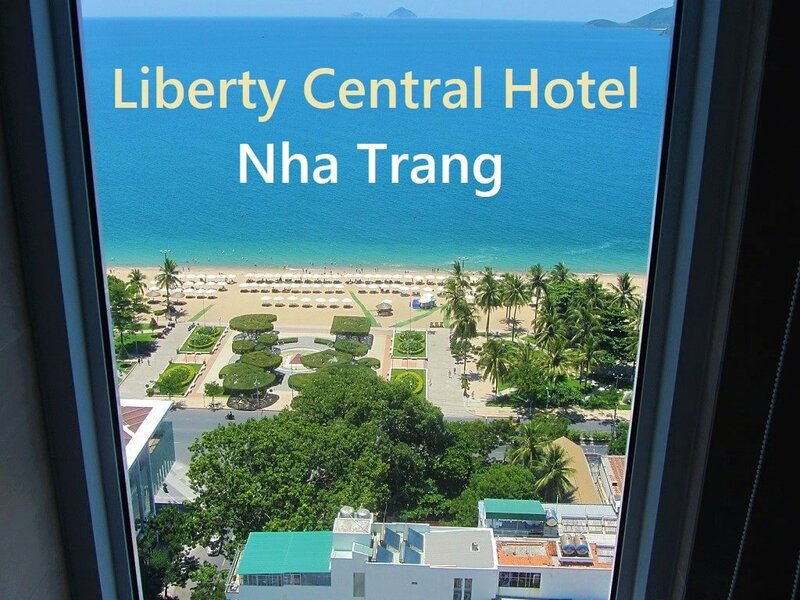 To check current rates, availability & make a reservation for Liberty Central Nha Trang please BOOK HERE]. 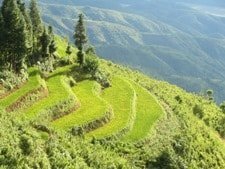 This entry was posted in ALL, HOTEL REVIEWS, Nha Trang Hotels and tagged accommodation, guide, hotel, Liberty Central, luxury, Nha Trang, review, Vietnam, where to stay. Bookmark the permalink. 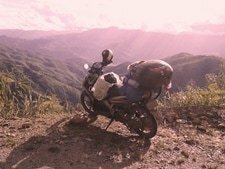 I’m going to follow by bus and train your suggestions from Nha Trang northwards these coming weeks, to make sure you benefit do I only book through Agoda via your site, and not with a direct/separate link to Agoda? 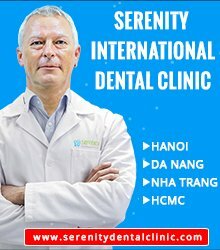 Also, can you recommend a cheaper alternative in Nha Trang than the Liberty?! Thanks for trying to book your accommodations through my site – it’s a great help to me. Yes, that’s right, just start your hotel search from any of the direct Agoda links or search boxes on my site. Or just start your search here if that’s easier. The ‘cookies’ (tracking) last for a while so it doesn’t matter if you browse through plenty of pages before booking. 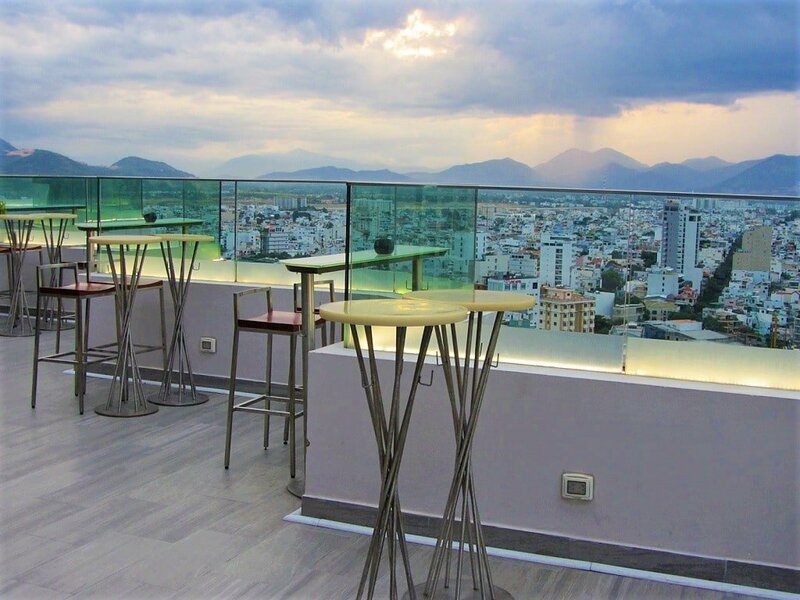 Dendro Hotel is not a bad cheaper option for Nha Trang, but there are loads of others – Nha Trang is full of good-value places to stay.